Now here’s the ultimate stocking stuffer for that die-hard metal freak on your Christmas list. It’s gonna cost you a fair chunk of cash–I just saw the Black Box going for $124 at A&B Sound–but little Timmy will be gaining invaluable insights into the roots of heavy metal. Never mind that the wee sprite may have to forfeit his very soul as well. Thanks mostly to the power-riff genius of guitarist Tony Iommi, Black Sabbath paved the way for dark, foreboding hard rock in the early ’70s. While not as visible as frontman Ozzy Osbourne, Iommi was the musical brains behind the British quartet, which also included bassist Geezer Butler and drummer Bill Ward. Thank God (or the devil), Iommi figured out a way to continue playing guitar after chopping off the tips of his fingers in an industrial accident. 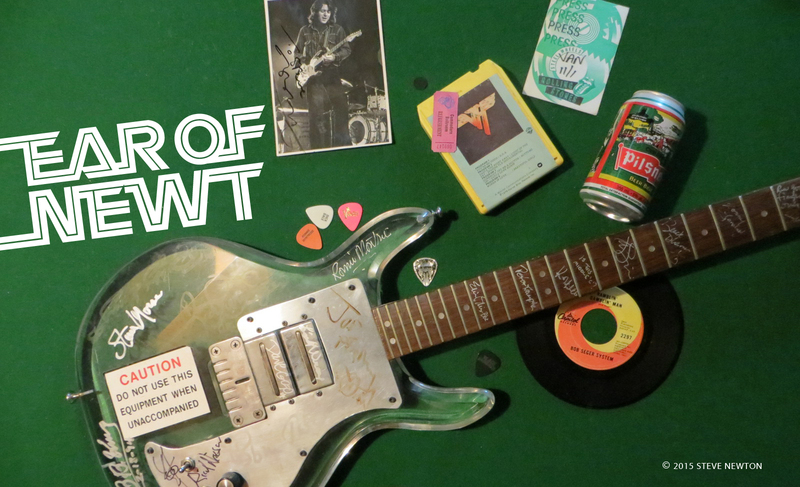 Where would the rock world be without the riffs from “Paranoid”, “Iron Man”, and “Supernaut”? 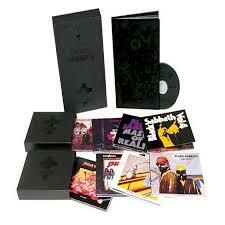 Black Box includes the eight Sabbath albums–from 1970’s Black Sabbath to 1978’s Never Say Die!–that Osbourne made with the group before he was sacked and replaced by Ronnie James Dio. The original vinyl-version layout and artwork have been re-created in CD form, which brings a nice nostalgic feel but also makes it impossible to decipher most of the shrunken-down lyrics. Fortunately, they’re all reprinted, in readable type, in the accompanying 80-page book. So it’s easy for little Timmy to sing along with Oz when he greets Lucifer on “N.I.B.” or denounces the “evil minds that plot destruction” on the frighteningly topical “War Pigs”.